I received Toastees in exchange for my honest review. 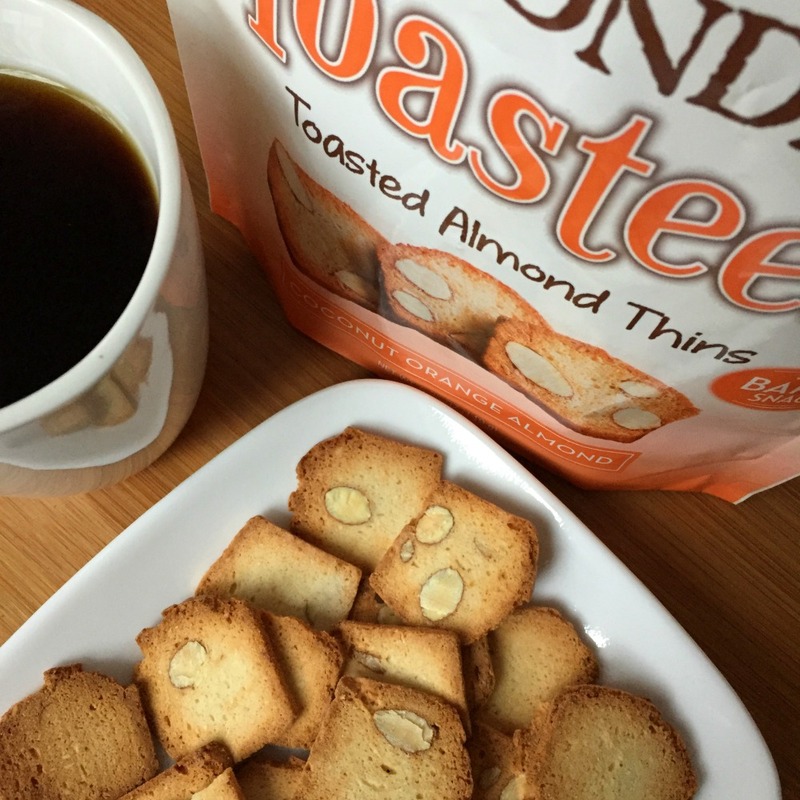 A few years ago, I was introduced to Almondina cookies, and Almondina has introduced Toastees, a new snack/cookie. 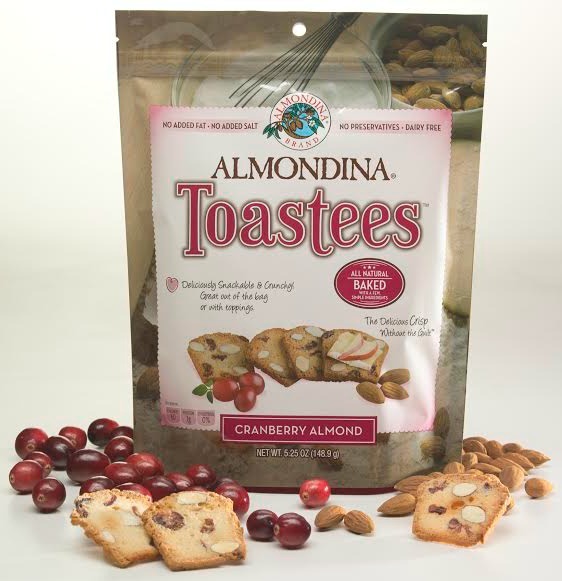 The Original Almondina cookie has been made for generations, and Toastees are the first product introduced by the next generation of the Almondina family. I love coconut, so I decided to try the Coconut Orange Almond first. Right in the bag, these have an amazing aroma. While these little cookies are thin and light, they have a wonderfully rich flavor. I love the crunchiness mixed with the sliced almond pieces. These are great by themselves, or paired with other things, like fruit, tea, or coffee. The Cranberry Toastees have a rich pop of cranberry flavor. 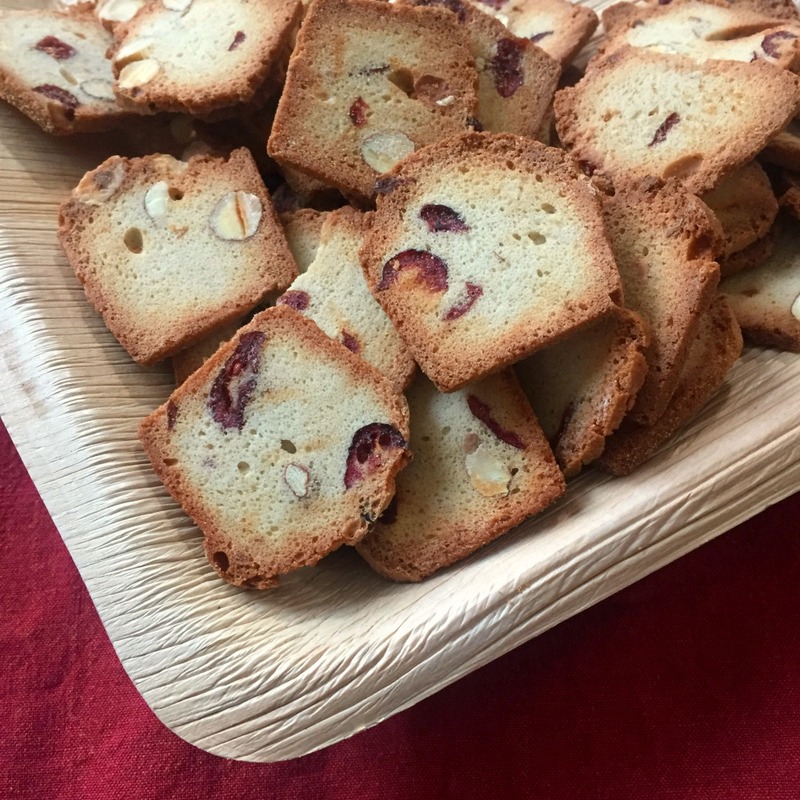 I like the contrast of the sweet, crunchy cookie with the smooth almonds and the softer, tart cranberries. With two other flavors to choose from, I can find a Toastees snack to fit my mood. The combinations are all really great, so it is hard to pick a favorite, but I do love the coconut orange! The Toastees have been a great snack to have around because they are so versatile. It is something nice to munch on alone, but other times I like to have a little something along with my tea. The kids have even brought these to school as part of snack or lunch. 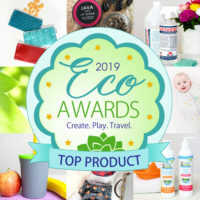 These easily pack in a little baggie, and in addition to sending these to school, Toastees are easy for me to bring along with me when I go to work, when I’m sitting at sports practice, or even things like family hikes. I love that these cookies come in a resealable bag, making them convenient to store. Toastees are available at Publix, Sprouts Markets, Fairway Markets, Kroger’s Michigan and others besides www.almondina.com and Amazon.com. 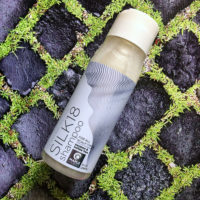 Never have tried these! The cranberry or lemon ones sound best to me. I’d prefer Coconut Orange Almond & maybe Sesame Almond(to pair w/ savory). I would most want to try the Coconut Orange Almond variety first. would like to try Sesame Almond. looks great. Coconut Orange Almond sounds like an interesting flavor combination I would like to try. I’d love to try the Coconut Orange Almond flavor first. I’d love to try the Coconut Orange Almond. This flavor sounds so good. Thanks so much. I would like to try the Coconut Orange Almond Toastees first. I learned that these are healthy, sweet cookies, made with natural ingredients. I would love to try the Sesame Almond flavor first. I want to try Coconut Orange Almond Almondina Toastees first. The Coconut Orange Almond sounds the best. I could have it with Orange Bliss Twinning Teas. I would like to try the Lemon Poppy Almond first.